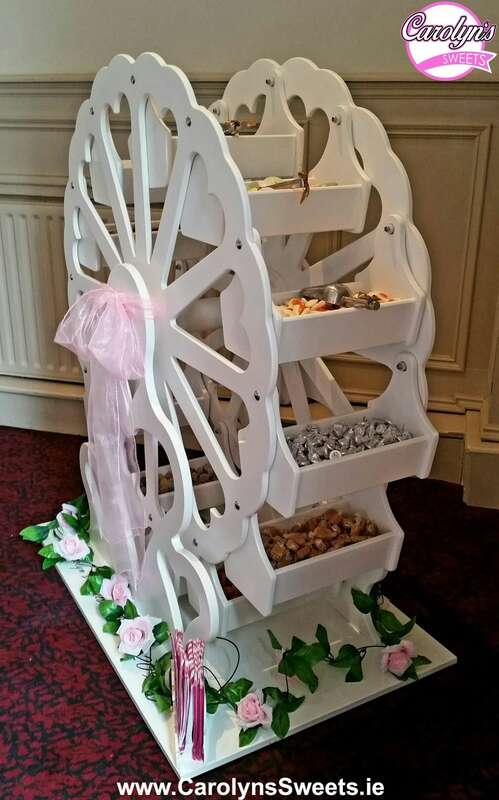 Our Candy Ferris Wheel Hire are filled with all your favourite sweets that you choose from our sweets list located here. 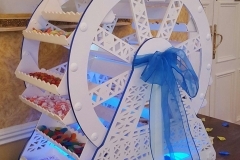 Your guests can rotate the Ferris Wheel with a full turn in order to pick there choice of sweets. 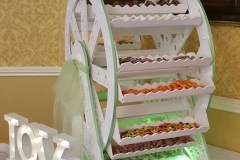 It is a very sturdy item and a fantastic change to the Candy Cart that you see at most events. 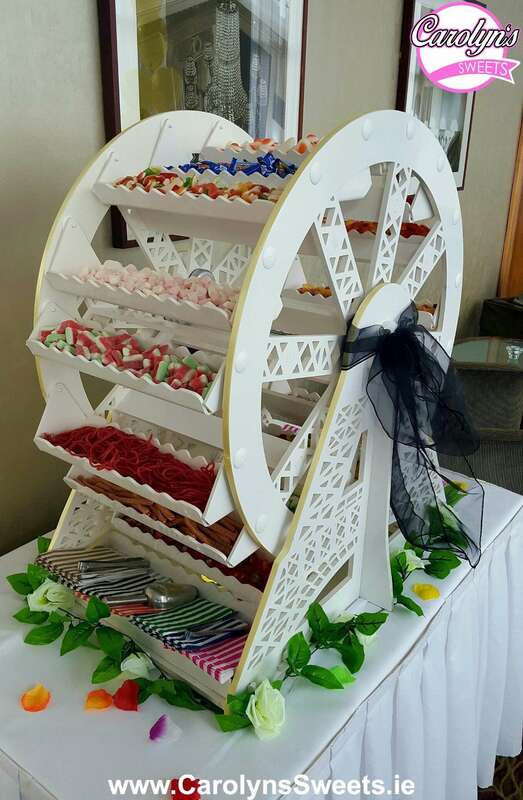 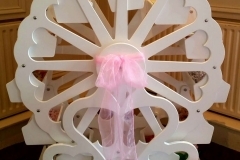 Candy Ferris Wheels make a great center piece to any event and are a cheaper, different alternative to the Candy Cart that is seen at most events. 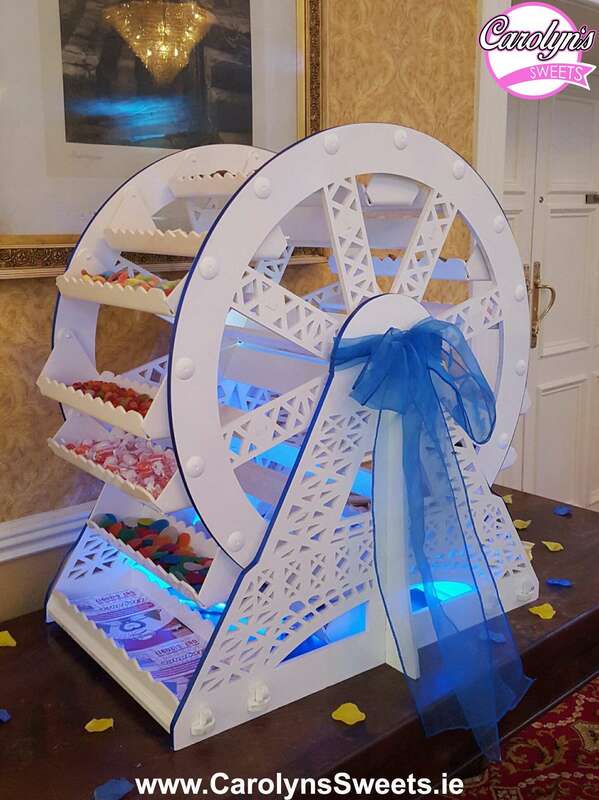 All our Candy Ferris Wheel Hire packages include the sweets, bags, scoops & decor in any colour combination you can imagine. 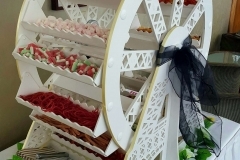 We will provide you with a list of sweets to choose from for you event so that you get the best choice of sweet rather then the cheapest on the market. 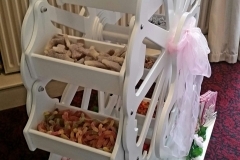 Do you remember your childhood favourites? 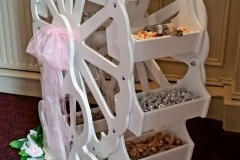 Well we can get them. 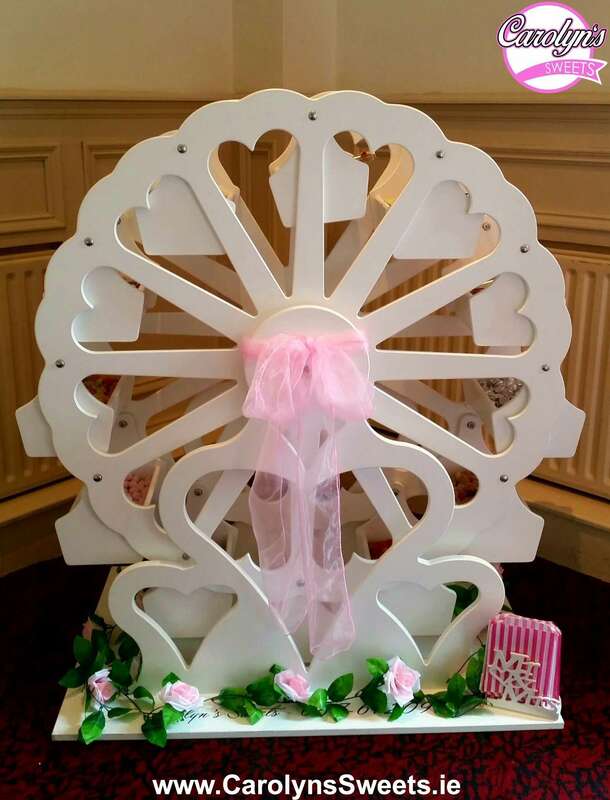 Get in touch with us now for more details on our Candy Ferris Wheel Hire. 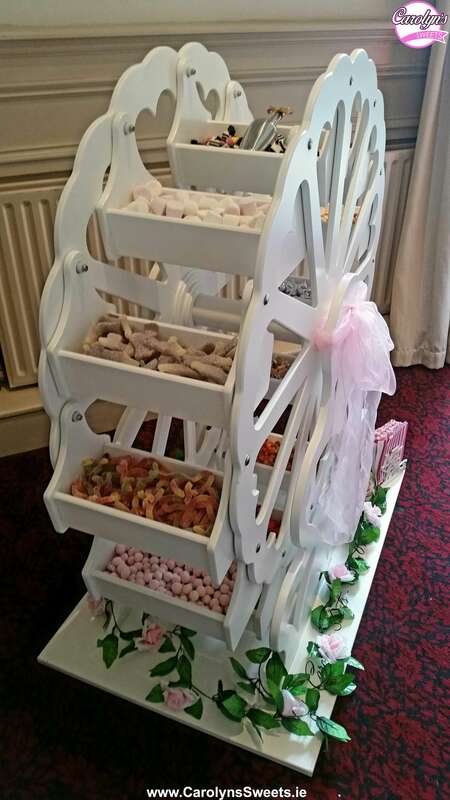 We have two types of table Ferris Wheels and both have 16 shelves to hold sweets. 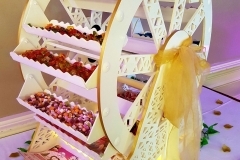 One is slightly smaller and suitable for 50-100 guests and the other 100 – 250 guests. 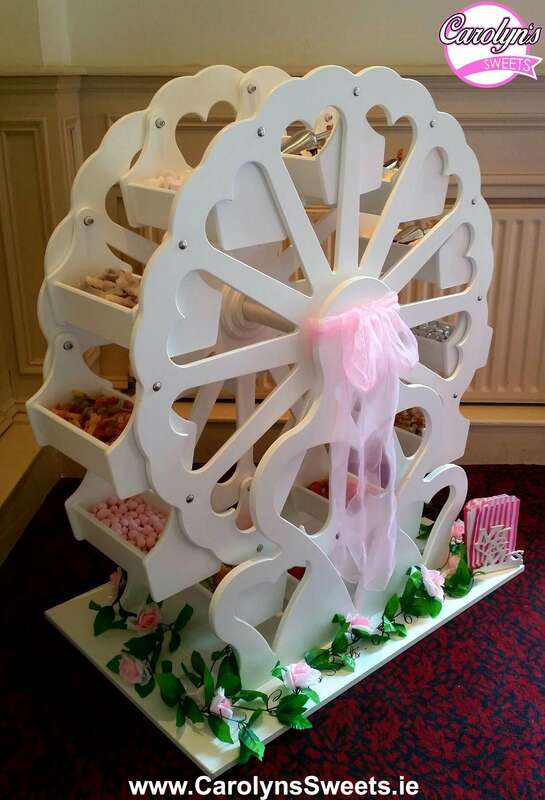 Carolyn’s Sweets is the only company in Ireland that put so much detail into there Candy Ferris Wheel Hire displays. 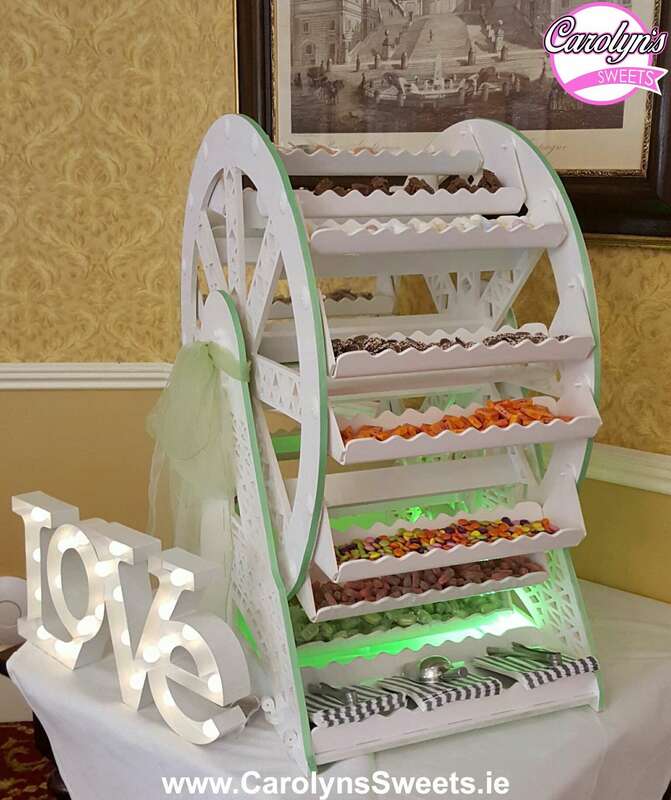 Carolyn’s Sweets unique Ferris Wheel is the only one of its kind in Ireland and makes a massive statement in any room and is for people who want something different then the standard Candy Cart that is seen at most weddings. 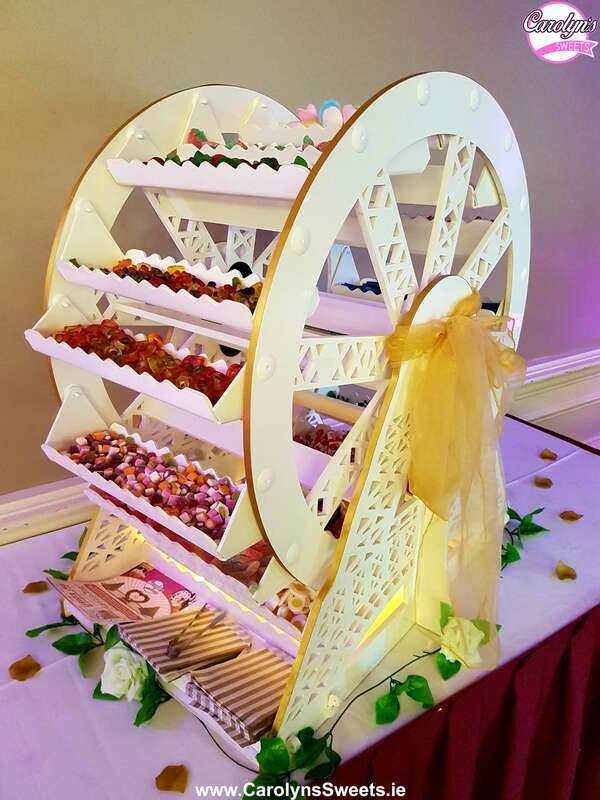 It has 12 large shelves for sweets so would be ideal for larger events of 150 – 400 guests. 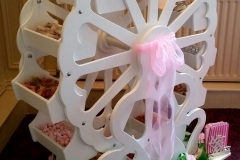 We can add any colour sash to match your theme along with coloured candy bags.